Some people think you need a lot of money if you want to travel, but that is not true. Besides in emergencies, I’ve never paid more than €40 euro for flight tickets. For example, all my flights from Prague to Italy cost me from €10 to €20 . For that, you have to be smart: book in advance or on the day they have discounts. 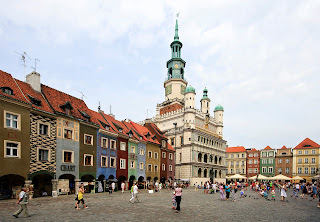 Today I’d like to tell you about the cheapest transport company I’ve traveled with in my life – Polskibus – and show you how you can visit the 5 most important cities in Poland with a minimum of €8.54 or a maximum of €19.08. 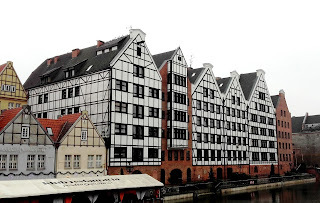 I spent in Wroclaw 9 months and recently I did a tour of Poland with my boyfriend, visiting the places I did not see on my stay there, and as I’m now making plans for a summer trip, I’d like to share with you some ideas. Let’s say you will do a tour of 8 days in July (that means you would book 2 months in advance): Krakow, Warsaw, Gdansk, Poznan, Wroclaw. All these cities have airports, so you could start your tour from any of them, where you arrive to the land of people famous for drinking vodka and cultivating potatoes! July 16 – Your tour starts. You are in Krakow. You stay there 2 days because you have to see the city and visit, most probably, Auschwitz and Birkenau. 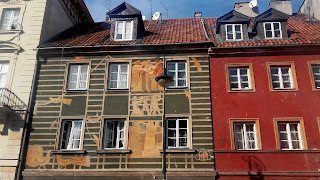 July 23 – Poznan – Wroclaw. Cost €1,82 – €3,41 (8-15 zl). You spend the night in the city and then you are done! Depending on the timetable, the price varies as I mentioned. So, the minimum you could spend is €8,54. The maximum – €19,08. €8,54 for all the routes you’ll use! In Italy you pay €7 with a regional train (trenitalia) for a trip of only 45 minutes, but in Poland you could travel more than 1000 km. If I would have never visited Prague, I would head from Wroclaw to Prague. Of course, again with Polskibus. That is for sure not the kind of trip for those that associate a trip with the comfort of the hotel room or luxurious services. It is for simple, adventurous people for whom the beauty and magic of traveling is found in the places they see and the people they meet, not in how they travel and the type of bed they sleep in. On top of that, if you have a good travel buddy or a good book, five hours on a bus feels like nothing. 1) I did not mention here what you’ll have to pay for the trip Krakow-Auschwitz or Gdansk-Sopot, which are additional trips (very short) and worth considering if you go to Krakow or Gdansk, but they should not cost you too much. For example Gdansk-Sopot trip, around 30 minutes, won’t cost you more than €1,90 (return ticket). 2) Remember that the prices I used were available on May 13th 2016 and may change later on.